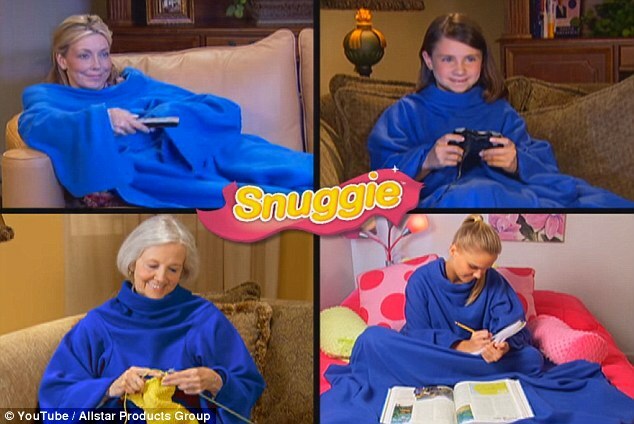 The Snuggie has raked in millions, but now the company behind famous "as seen on TV" fleece blanket is being forced to pay its customers $7.2 million back in refunds. The Federal Trade Commission (FTC) alleged that Allstar Marketing Group, the New York-based company behind the infomercial product, misrepresented and deceived customers with its ads. The settlement cites unauthorized charges and failure to adequately disclose material terms of the offer, under the Telemarketing and Consumer Fraud and Abuse Prevention Act. According to court documents, the FTC said Allstar's "buy-one-get-one-free" promotion failed to disclose additional charges to customers for processing and handling. The product is said to be available for "just $19.95" and promises consumers the offer will be doubled for "less than $10 each." Those ads never disclosed that a $7.95 handling fee would be applied to each product in the order, which nearly doubled the total price to $35.85. "The televised commercials for all of its products adhere to a nearly identical script," the FTC said, referring to the deal the company used for multiple products, including the Snuggie and the Magic Mesh screen door. Refunds will be mailed this week to more than 218,000 customers for an average amount of $33.14 each. The refund checks become void after 60 days. Allstar did not immediately respond to ABC News’ request for comment. Consumers who have questions should call 1-877-982-1294.